This design has a jet black under base. 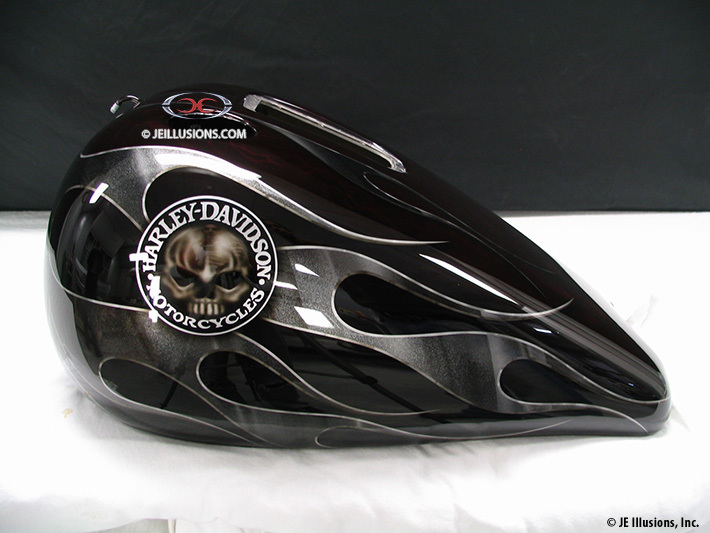 On top of the fenders and on the sides of the tank runs a blade design with an airbrushed, beveled edge. Inside the blade design is more airbrushed metal effects with added starflake. 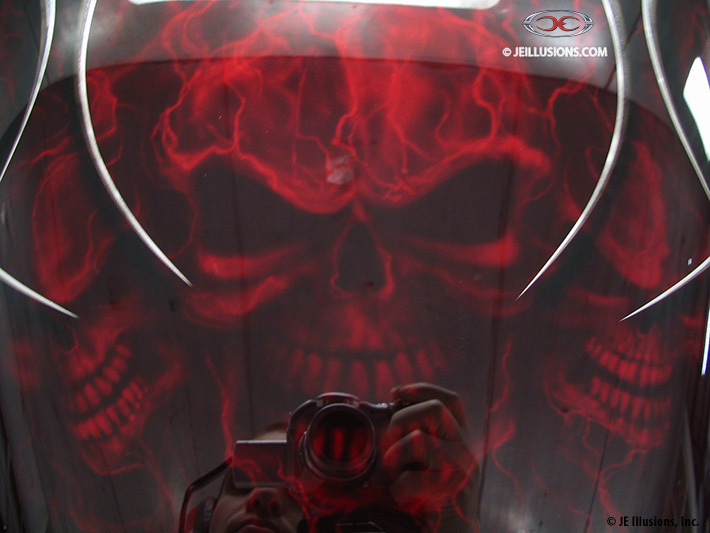 On the top of the tank is a very detailed illustration of 3 demonic looking skull heads with our signature airbrushed lightning effects blending into the illustration. The lightning effects also run down the centers of the fenders, beneath the blade design. Various customers have had this design modified and personalized to give it thier own twist.